We had company most of the weekend and had bought two packages of the Gardein Chick’n Strips that we didn’t get around to using, so I knew that was what the meal would be based around. We also had a gorgeous french baguette that I couldn’t let go to waste. I cheated a little and hubby went to the store for cherry tomatoes, cilantro and a jalapeno. The best part was that I hadn’t told him specifics about what I was making so he had assumed all day that we were having Mexican food. I love when I can trick him! So you may already know this but I didn’t learn about until yesterday as I was attempting to figure out the difference between masala and curry, which isn’t really all that different. Masala is simply a mix of spices and in places like India the idea of buying a masala powder is mostly on heard of. Every family has their own mix of spices and masala can vary depending on where you are eating it. Curry on the other hand is a western creation dating back to the 18th century. It was the English’s attempt to recreate the masala they had tried in countries like India. Enough of the history/culture lesson for the day! So you might look at this recipe and think it has to many components, but trust me, it is super simple. Aside from the time of having the chick’n marinade it took me 45 minutes and much of that time was me trying to figure out what I was doing. Point being, don’t be scared. This was amazing! Plus, most of it could be made in advance. This recipe will make six 6″ subs. 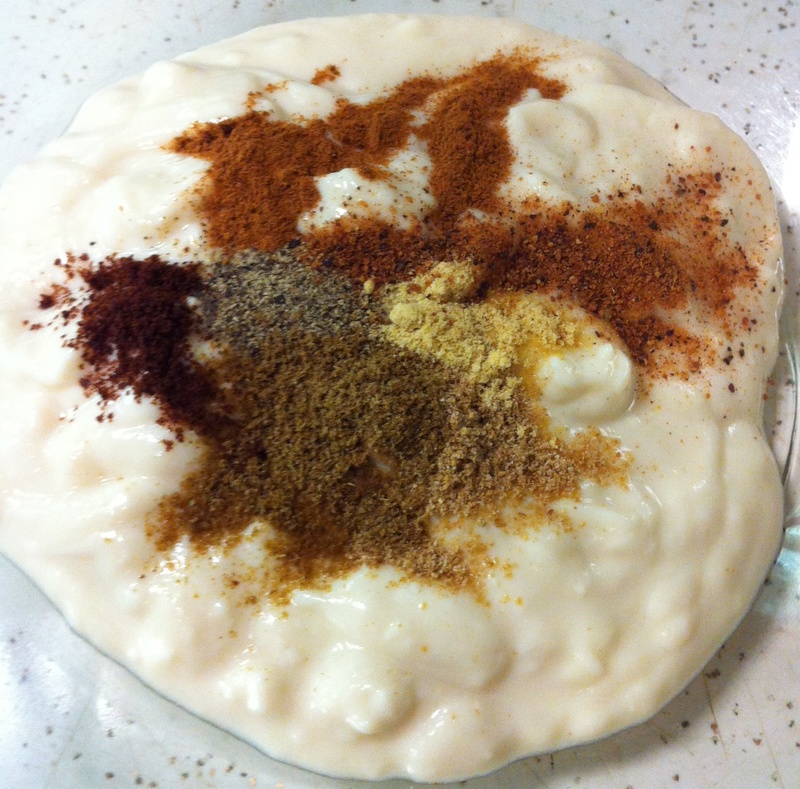 In a large bowl mix yogurt with seasonings from salt to clove powder. Add Gardein to mix, cover and marinade for at least four hours. 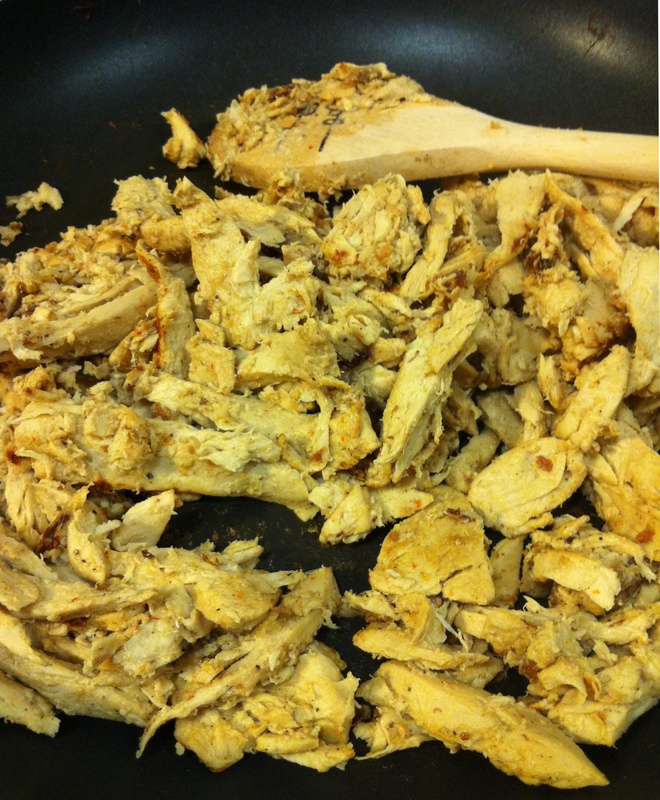 To Cook: In a large skillet add 1 tbsp olive oil and marinated Gardein. Cook over medium heat for fifteen minutes until it begins to brown. 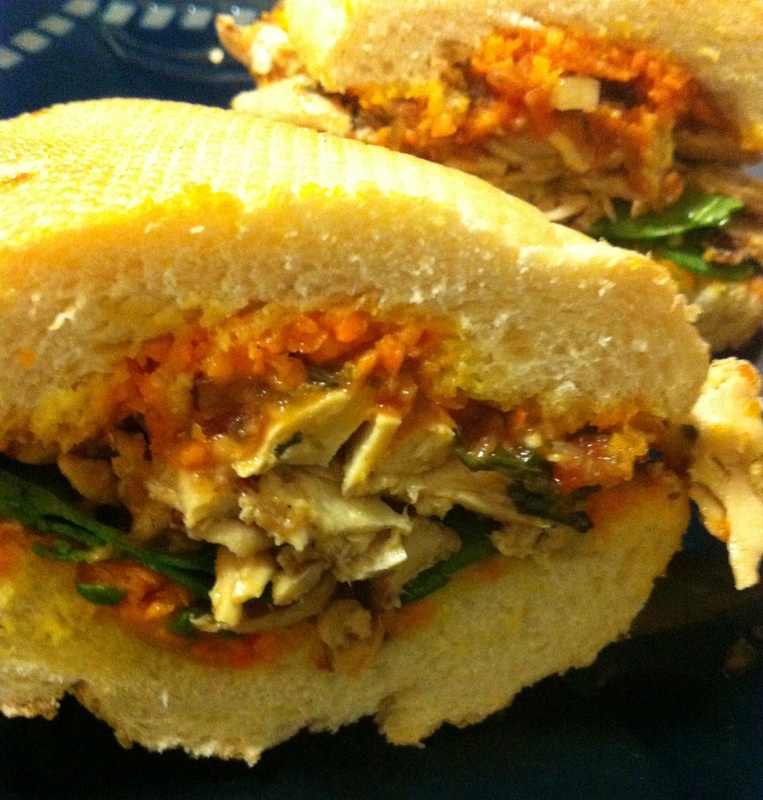 Set aside until you are ready to put together sandwich. Throw all ingredients except cilantro in a sauce pan. Cook over medium low heat for 15 minutes. Remove from heat. Add Cilantro. With a stick blender, food processor or blender puree. Eat. Using a food processor puree ingredients from carrots to sunflower oil. To prepare the baguettes I cut them into three 6″ pieces. 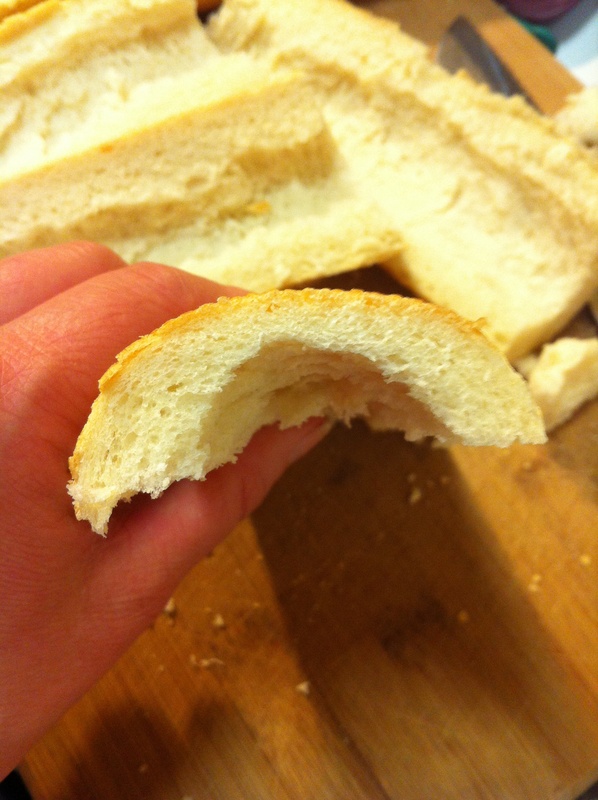 I then hollowed out the centers so that the sub would hold together better. 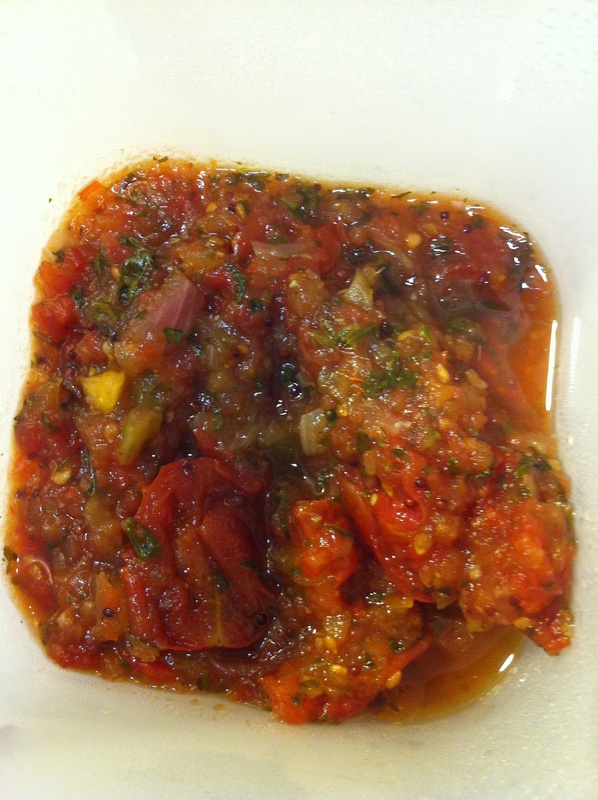 Keep bread that you remove to dip in extra chutney. 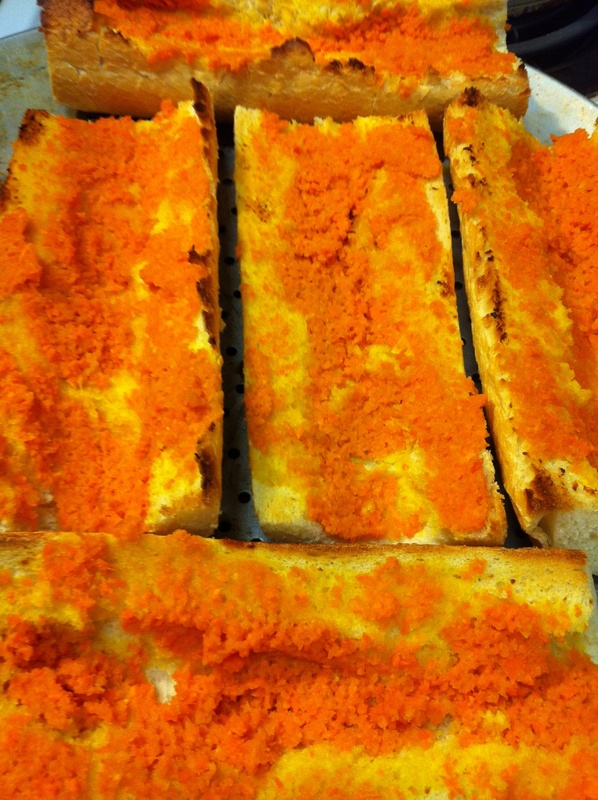 Cover bread with a thin layer of carrot spread. Broil for 2 to four minutes. Make sure to watch constantly so that it does not burn. 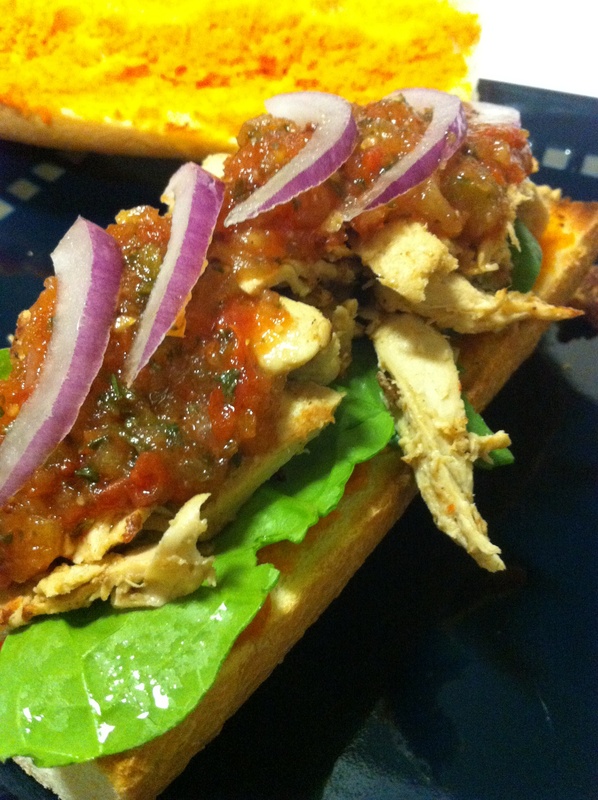 On top of bread layer spinach, chick’n, chutney and onion. Serve and enjoy!